Waterville Valley Resort is the perfect mountain to progress to your next level of skiing or riding. Our Snowsports Department offers world class instruction with 70% of our instructors PSIA certified. Take a group lesson with friends , or get one-on-one instruction with a private lesson. Take advantage of the Learn to Ski/Ride program, with affordable beginner packages. Group Lessons, Private Lessons, Kids Kamps, and Child Care will be CLOSED after 4/7/2019 for the rest of the season. See you next year! Group lessons meet at 10:00am and 1:30pm on weekends and 10:00am and 1:00pm on weekdays in the base area near the Rental shops and Base lodge. All group lessons are available for ages 7 and up and are 2 hours long. *The Learn to Ski & Ride package is offered at 10am or 1:30pm on weekends & holidays, and at 10am or 1pm midweek. Lower mountain lift ticket includes lift access on the Pasture Carpets, Lower Meadows Double, and the Valley Run Quad. For beginner skiers or riders age 4 and up who want private instruction. Includes 2 hour private lesson, rentals, and a lower mountain lift ticket. Whatever your age or ability level, you can become a better skier or rider. When you work one-on-one with the right instructor, learning happens fast. Waterville Valley's Snowsports School will help you get there because the quickest way to improve in anything is with the help of experts. We offer individual private lessons for the utmost in personal attention or semi-private lessons (up to 5 people) that allow your friends or family who are close to the same age and are the same ability to learn together. Space in the programs is guaranteed exclusively through advanced reservations at least 24 hours in advance. Reservations are available solely for full day enrollment; all other program options are offered as space allows. Lunches are included in the full day programs. Drop off times for the Explorer and Scout programs are from 8:30am until 9:15am. Pick-up is at 3:00pm. 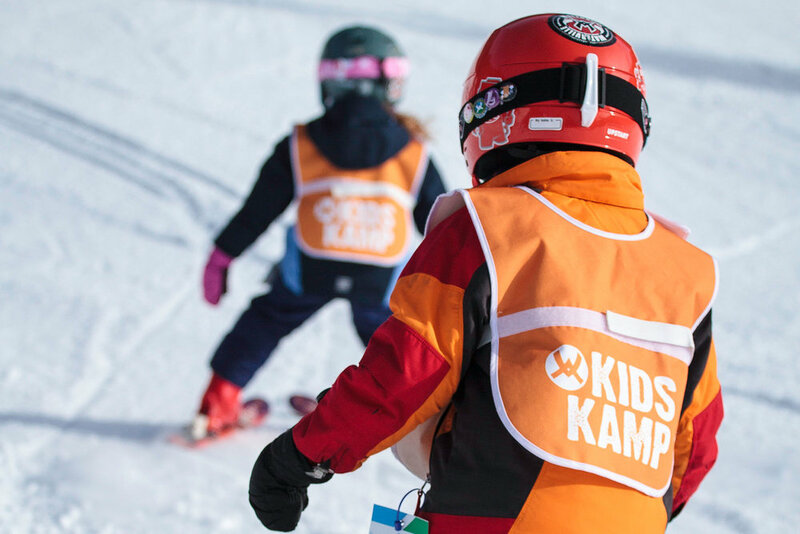 All lift tickets, lessons and equipment for your children can be purchased via reservation. or by calling (603) 236-8311, x3136. Mogul Mites is a program designed to introduce 3 year olds to the fun of skiing and being outside on the mountain. Operated out of our Child Care program, It includes up to two hours of lessons (for 3 year olds who have never skied before), lunch and snacks. Children will be invited to a lesson in the morning and/or afternoon. Lift ticket is included. Check in from 8:30–9:15am; check out at 3:45pm. Explorers offer a 2 hour morning and afternoon ski or snowboard lesson, lunch, and snacks during breaks. Our full-service child care facility is located on the first floor of the Base Lodge. Morning and afternoon snacks* are provided and lunch is included for one year olds and up. Our program offers age and developmentally appropriate activities. Each child that requires diapers must bring six diapers and a box of wipes. Half days are available from 8am (weekend & holidays) & 8:30am (midweek, non-holidays) to 12:30pm. Weekends and holidays open for check in at 8:00am and close at 4:00. Weekdays we open for check in at 8:30 and close at 4:00. Terrain Focused Learning features are designed to maximize fun, boost confidence and get you on the slopes faster. Look on the Trail Map for the TFL logo to start progressing! *If it becomes necessary for you to cancel a reservation for Kid’s Kamp, Child Care or a private lesson, there will be a $25.00 processing fee ($40. If you requested a specific instructor for your private lesson). If you cancel prior to 2 days before arrival (cancel by midnight Wednesday for a Saturday reservation) the remaining balance will go on your credit card. If you cancel within two days, it will go on a Snow Cheque. Snow Cheque’s can be used for lessons, rentals and lift tickets (excluding Sport Thoma Ski Shop) in the season they were issued. *Group lessons are non refundable.